It’s been a few years since such a large foodservice industry event made its way to the West Coast. 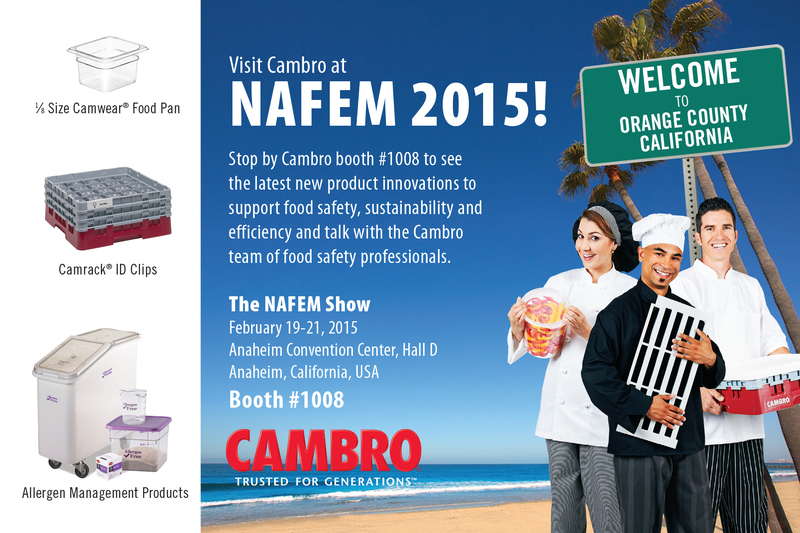 This year NAFEM also happens to be just a short drive from Cambro’s Headquarters in Huntington Beach. We’re looking forward to welcoming old and new friends and showing off some great new products and services for foodservice professionals. We’re looking forward to seeing you in Anaheim! If you can’t make the show this year, don’t worry! We’ll have all the coverage in real-time (or as fast as the WiFi allows) on Twitter and Instagram!